Snow Patrol are back with a new album ‘Wildness’ and a UK tour hitting Glasgow in early 2019. The acclaimed indie band will be playing the SSE Hydro venue on Thursday 31 January 2019 with tickets going on general sale Friday 8 June 2018. Wildness is the bands first new album in over seven years and it follows other succesful records such as ‘Eye’s Open’, ‘Final Straw’ and ‘A Hundred Millions Suns’. 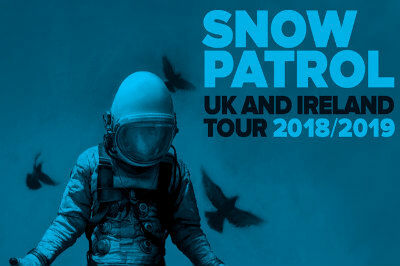 Don’t miss out, get your Snow Patrol tickets early.